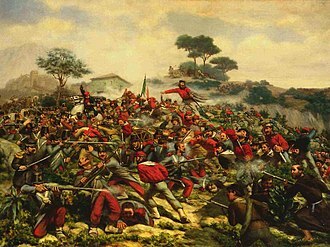 ^ He is considered an Italian national hero Garibaldi, Giuseppe (1807-1882) - Encyclopedia of 1848 Revolutions Archived 2009年1月29日, at the Wayback Machine. ^ Diamond, Michael (2003). Victorian Sensation. Anthem Press. pp. 50–53. ISBN 1-84331-150-X. ^ Giuseppe Guerzoni, Garibaldi: con documenti editi e inediti, Florence, 1882, Vol. 11, 485.